During your trip you will climb up rugged cliffs for breath-taking views of small villages perched like eagle’s nests on the steep slopes. Walk this timeless landscape at ease, as daily life passes slowly here, following the endearing rhythm of the seasons. You will enjoy delicious fresh food, prepared by locals who still live off the land, tending their vegetables, olive groves and vineyards and harvesting figs, almonds and hazelnuts. Walking from the high mountains to the emerald sea at Cefalù you will have a first rate hiking experience. Arrive in Sicily and breathe in the warm island breeze and aroma of the outstanding local flora. If pre-arranged wit us, a private transfer takes you from airport to your accommodation in Petralia Sottana, in the south of the Monti Madonie. Enjoy your first dinner in a local restaurant of your choice trying the many flavors of the tasty regional cuisine. Day 2 – Transfer to Portella Ferrone and walk to Pomieri. Day 3 - Pomieri loop via Vallone Madonna degli Angeli or Monte San Salvatore walk. Today’s walk starts off on a fairly steep and rough surface but it eases out as you reach the higher lands where views begin to unfold and you follow panoramic dirt roads and well-marked trails, making a loop around the fascinating Vallone degli Angeli. From Vallone you can take a detour to Scalone from which you have a good view of Polizzi Generosa and valleys located tot he North of the Madonie Mountains. Day 8 – Arriverderci Cefalù! Fly in to Palermo Punta Raisi Airport. The arrival transfer from Palermo Airport or Palermo down town to the first accommodation in Petralia Sottana is optional, so you could book it with the package if needed. 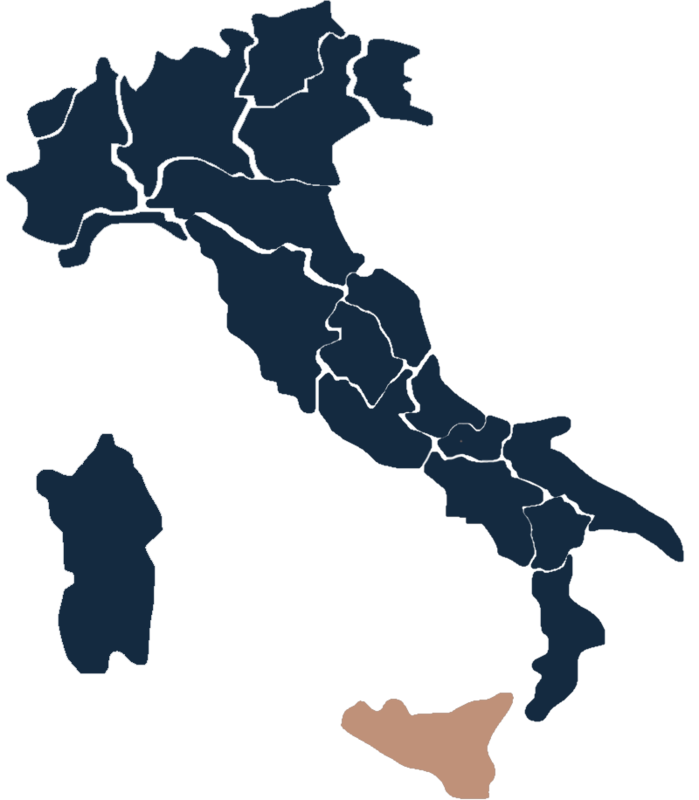 As an alternative, Palermo is connected to Petralia Sottana by public bus transport. From the airport to Palermo train station the service is run by Prestia & Comandè (that runs every 30 minutes until midnight towards Palermo train station and until 22:30 hrs. towards the airport). From Palermo train station (Via Paolo Balsamo) you will find the SAIS buses that bring you directly to Petralia Sottana in 1 hour and 40 minutes (there are just 3 buses for the whole day from Monday to Saturday included: at 12:20 – 14:15 and 18:30 hrs. On Sundays there are just two buses at 8:00 hrs. and at 17:00 hrs.). For more information you can visit the websites www.prestiaecomande.it and www.saistrasporti.it/ or phone numbers: SAIS 0039.091.617.1141 and Prestia & Comandè 0039.091.586.351. The accommodation chosen for this tour, are all unique and diverse, ranging from a small-town hotel to a quintessential Sicilian farms (Agriturismo). The rooms in all of the accommodation have private en-suite bathrooms. In Cefalù the hotel is just outside the city centre, on the beach promenade and leaves you many wonderful options for dinner in town. During high season it is possible that you might sleep in accommodation different from the ones indicated in the description. In some cases it is possible that your list of accommodation differs somewhat. This means that the start or end of the routes are slightly altered. Therefore you should check to see if your accommodation is the same as that mentioned in this programme. If not, you must be alert at the start and end of the routes. The distances per day on this hiking trip are not very long, 16km at maximum. You climb and descend between 400 and 1000m per day. The walks follow mostly mountain paths, unpaved ways, forest trails and passable animal tracks. Around the villages some asphalt roads can’t be avoided and according to good Italian habit from time to time it is necessary to go cross country. Sometimes the trails are not marked. When the weather is bad the mountains can be wrapped in dense fog, when this occurs, it is not advisable to do the walks. In this case you can ask the accommodation owner to take you together with the luggage to the next hotel on the route. Even if the weather is nice most of the time, you must always be prepared for suddenly developing fog and showers, especially in spring and autumn. This is the wettest region of Sicily. The precipitation is however dependent on the season (summertime is as a rule dry and warm), AND rain clothing must be always part of the basic equipment. The quality of the topographical maps which we have used for this hiking trip is reasonably good. The maps has been made recently updated (year 2000) and are in a useful scale 1:50.000. The original topographical maps (Carte dei Sentieri e del Paesaggio Cefalù o Madonie 1:50.000 Tavola V) of which you have useful prints in your travel kit, is available in most of the villages of the Monte Madonie area. Luggage transfer is included in your package; this is normally provided by the accommodation itself or by a local taxi. Activity characteristics The walks are along footpaths, mule tracks and some strade bianche, (small gravel roads). You will cross a few small hamlets and some larger villages.